CARFAX One-Owner. Clean CARFAX. Gray 2014 Chevrolet Equinox LS FWD 6-Speed Automatic with Overdrive 2.4L 4-Cylinder SIDI DOHC Just Detailed, Passed Dealer Inspection, Recent Oil.Recent Arrival! 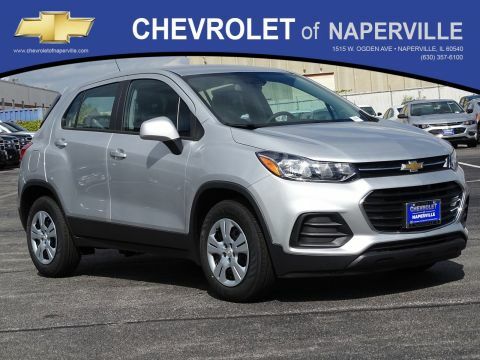 22/32 City/Highway MPGAwards:* 2014 IIHS Top Safety Pick+ with optional front crash prevention * 2014 IIHS Top Safety Pick+ * 2014 KBB.com Brand Image AwardsReviews:* If want a comfortable family/gear hauler that’s larger than other compact crossover SUVs but small enough to be at ease in parking lots, the Equinox is worth a look. For those who need to pull moderate loads, the 3,500-pound towing capacity in V6 models is shoulders above most competitors. Source: KBB.com* Premium look inside and out; strong optional V6 engine; quiet interior; comfortable highway ride; spacious and adjustable backseat. Source: Edmunds* The 2014 Equinox is Chevrolet’s torchbearer in the sizzling compact crossover segment. The Equinox stretches the boundaries of the term compact as it is noticeably larger than its rivals. That size difference affords more room for passengers in the second row seat and a larger presence on the road. 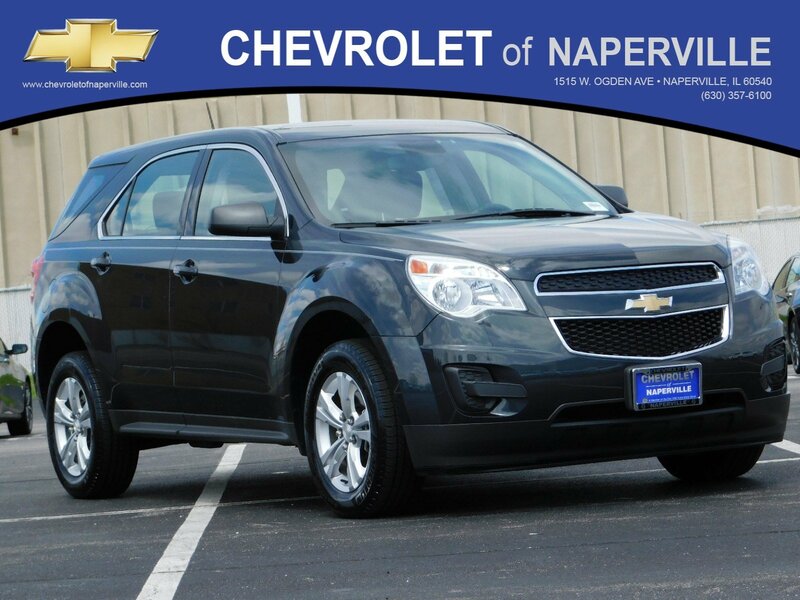 The 2014 Chevy Equinox has a comfortable and quiet ride and drives like a more expensive car. It has an edge in passenger comfort, especially in the rear, where the bench seat can move several inches fore and aft to create more legroom. Up front, driver and passenger benefit from generous-sized seats. The 2014 Equinox has a good blend of soft curves at its edges to balance the vehicle’s rectangular shape. A long hood further helps even out the Chevy’s proportions. It all works to give the Equinox an athletic appearance. Other standout aesthetics include the signature 2-bar grille, floating fog light bezels and creased fender flares. 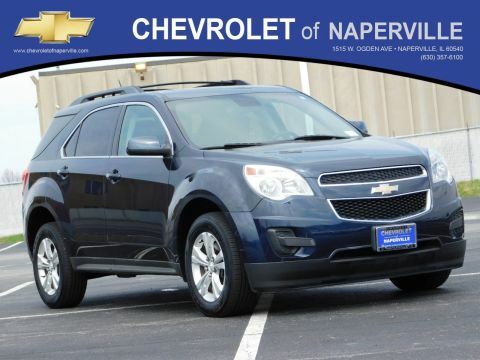 The 2014 Chevrolet Equinox comes standard with a fuel-efficient 4-cylinder engine that makes an adequate 182 horsepower. You may also choose the impressive V6 that puts out 301 horsepower. Both engines are connected to a 6-speed automatic transmission. Front-wheel drive (FWD) is standard with all-wheel-drive as an option for both engines. The 4-cylinder model can tow a maximum of 1,500 pounds while the V6 can pull 3,500 pounds. If you want a small-but-not-too-small SUV with plenty of passenger space, a comfortable ride and good fuel economy, consider the 2014 Chevy Equinox. CARFAX One-Owner. Clean CARFAX. Gray 2014 Chevrolet Equinox LS FWD 6-Speed Automatic with Overdrive 2.4L 4-Cylinder SIDI DOHC Just Detailed, Passed Dealer Inspection, Recent Oil.Recent Arrival! 22/32 City/Highway MPGAwards:* 2014 IIHS Top Safety Pick+ with optional front crash prevention * 2014 IIHS Top Safety Pick+ * 2014 KBB.com Brand Image AwardsReviews:* If want a comfortable family/gear hauler that's larger than other compact crossover SUVs but small enough to be at ease in parking lots, the Equinox is worth a look. For those who need to pull moderate loads, the 3,500-pound towing capacity in V6 models is shoulders above most competitors. Source: KBB.com* Premium look inside and out; strong optional V6 engine; quiet interior; comfortable highway ride; spacious and adjustable backseat. Source: Edmunds* The 2014 Equinox is Chevrolet's torchbearer in the sizzling compact crossover segment. The Equinox stretches the boundaries of the term compact as it is noticeably larger than its rivals. That size difference affords more room for passengers in the second row seat and a larger presence on the road. 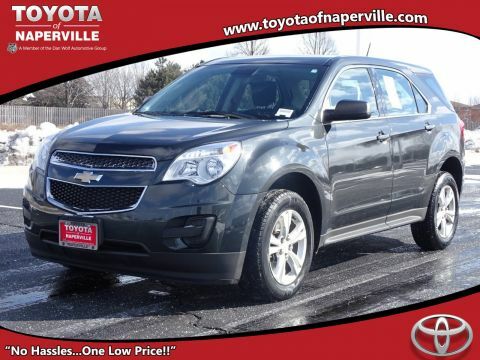 The 2014 Chevy Equinox has a comfortable and quiet ride and drives like a more expensive car. It has an edge in passenger comfort, especially in the rear, where the bench seat can move several inches fore and aft to create more legroom. Up front, driver and passenger benefit from generous-sized seats. The 2014 Equinox has a good blend of soft curves at its edges to balance the vehicle's rectangular shape. A long hood further helps even out the Chevy's proportions. It all works to give the Equinox an athletic appearance. Other standout aesthetics include the signature 2-bar grille, floating fog light bezels and creased fender flares. The 2014 Chevrolet Equinox comes standard with a fuel-efficient 4-cylinder engine that makes an adequate 182 horsepower. You may also choose the impressive V6 that puts out 301 horsepower. Both engines are connected to a 6-speed automatic transmission. Front-wheel drive (FWD) is standard with all-wheel-drive as an option for both engines. The 4-cylinder model can tow a maximum of 1,500 pounds while the V6 can pull 3,500 pounds. If you want a small-but-not-too-small SUV with plenty of passenger space, a comfortable ride and good fuel economy, consider the 2014 Chevy Equinox.